These are gorgeous. I love the thorn branched one. Congrats on your nifty 50. It's my go to lens. I love it and I see you do too. My favorite is the glistening snow - beautiful! Fab shots - especially the shadows, such a great comp. I have a nifty fifty too - great lens (also very light to carry around for a change!). Gorgeous images and "Whoot Whoot" on the new lens. Beautiful images...I wish I was there. Beautiful shots and so perfect for this song! Beautiful images. The first shot is so pretty, I love seeing a blanket of snow with no footprints on it. 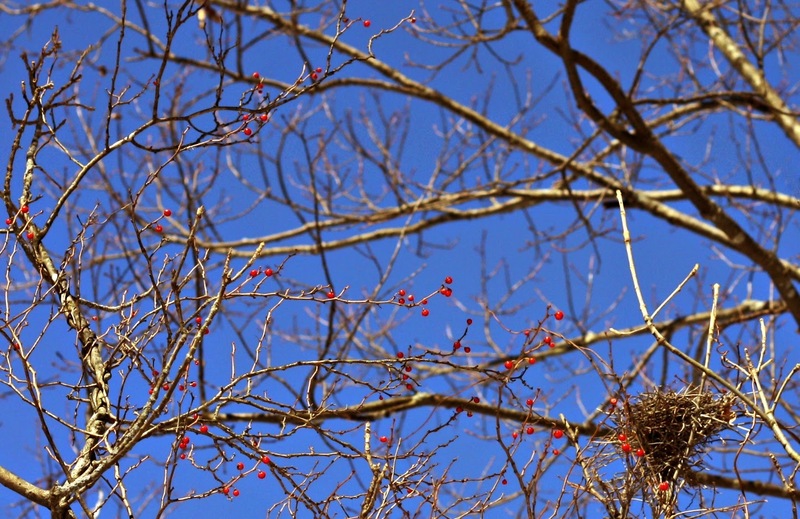 Those red berries against the blue sky really popped. You did a wonderful job interpreting the lyrics with your photos. oh such beautiful photos...so perfect for today's prompt! You live in a beautiful place, with Horn Pond nearby. I love the image with the tiny red berries, a touch of color in the browns and whites. Thank you for your kind comments about my daughter's wedding! It will be an emotional, fun week coming up! Congrats on the new lens. I see that there is no learning curve as all of the photos are stunning and perfect for the song. 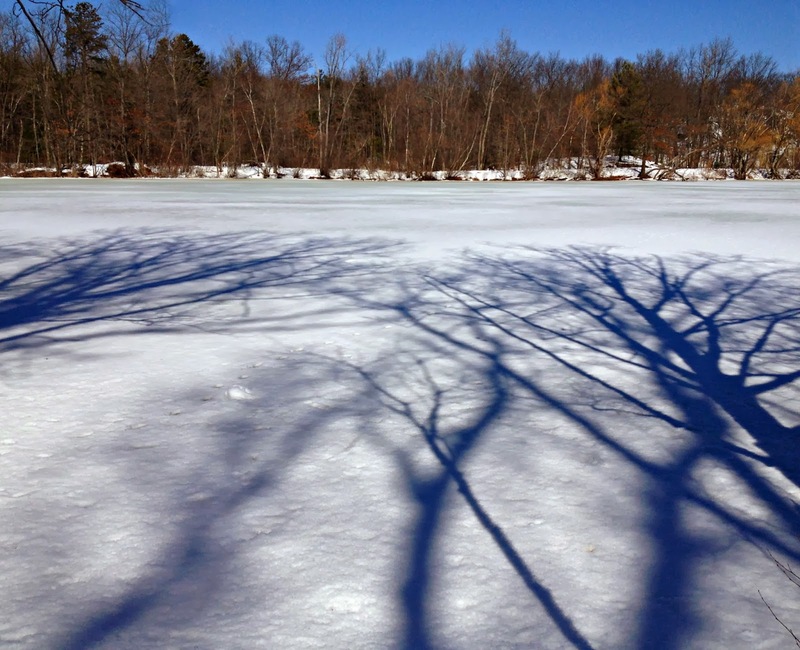 Wow...that first shot of the shadows on the snow...FANTASTIC! You have just provided me with further incentive to get out there and start using MY 50mm lens more! It usually sits dormant in my camera bag. Time to bring it out and show it the light of day! Thanks for joining in at Song-ography. Your photos are gorgeous, as always. Every time I hear "Hazy Shade of Winter", I'm reminded of my son telling me that his dad had always misheard the lyrics. He thought they were: "Look around, Lisa Brown"...! winter is wonderful, i don't care what anyone says!! you did see the swan, behind the trees in image #2...right? ?